We have just published an update to the second edition of Office 365 for Exchange Professionals. The new update is dated 9 January 2016 and is now available from ExchangeServerPro.com (PDF and EPUB formats) and Amazon.com (Kindle format). The following changes are included in the January update. 2 Ramifications of the January 12 2016 restriction on IE9 browsers. 18 New treatment of Delve favorites. See this page for more information about how to get updates for books you have already purchased. 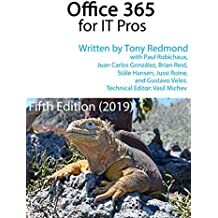 This entry was posted in Cloud, Delve, Delve Analytics, Exchange Online, Office 365 and tagged Delve, Exchange Online, Office 365 eBook, Office 365 for Exchange Professionals, OneDrive for Business. Bookmark the permalink.